Colin Ferguson, the Jamaican who went on an anti-white shooting spree on the Long Island Railroad. 6 dead, 19 wounded. Julio Gonzalez, who burned down the Happy Land social club in New York. 87 dead. Ali Hassan Abu Kama, who went on a rampage on the observation deck of the Empire State Building. 1 dead, 7 wounded. Seems like we could use a little better screening process, eh? 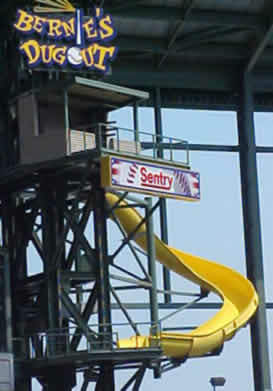 My six-year-old: Why is there a yellow slide? Me: When the Milwaukee Brewers hit a home run, Bernie Brewer goes down the slide. SYO: How does he get up there? Me: There's a big ladder. SYO: Why does he go down the slide? Me: Well, that's kind of an existential question. 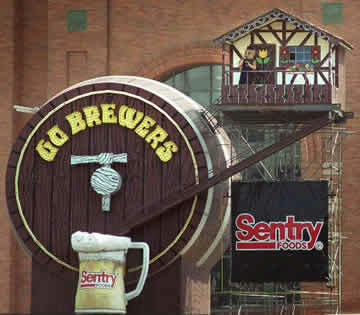 Milwaukee was famous for beer, the team name was the Brewers, the mascot was Bernie Brewer, so when a Brewer hit a a home run then Bernie would slide down into a big stein of beer. Easy to understand, even for a six year old. And best of all, you didn't need to use the word "existential" at a baseball game. Now there's a title for a post, eh? This week was the first time I ever heard those two words together on TV. It was on a History Channel special on the Night Of The Long Knives, when Hitler purged all the leaders of the SA. Actually, I don't hear the word "debauchery" all by itself much on TV either. It's one of those fun words we don't use often enough, eh? Huge profits for pharmaceutical and condom manufacturers, bottomless grants for researchers and NGO’s, publicity and money for research foundations, six-digit salaries for advertising executives and increasing fame for big name celebrities are creating a disincentive to actually stop the disease say some AIDS activists. Which of the following describes your ethnic origin? Pity the poor Irish, the underclass of the Europe. My mother died of emphysema in December 2003. She spent the last two weeks of her life in a hospice, under heavy sedation but still gasping for air and coughing up phlegm, as my sister and I alternated vigils so that, in case she woke up, she wouldn't feel alone. She never woke up. 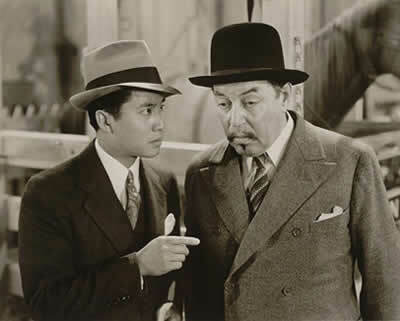 Watching my mom die of emphysema made me an expert in...well, what it's like to watch your mom die of emphysema. The experience didn't provide insight into the disease itself, its onset or prognosis, or its treatment options. I've no idea whether the federal government is spending too little, too much, or just enough on emphysema research. My mother's death didn't mystically impart a capacity to speak intelligently on these issues. The brouhaha over conservative columnist Ann Coulter's disparaging remarks about 9/11 widows has obscured the validity of her underlying point. Grief does not confer competency. If Coulter went overboard in calling the four New Jersey women "harpies" and "the witches of East Brunswick," she's nevertheless correct in asserting the irrelevance of their views on pre-9/11 intelligence failures, the state of homeland security, and the ongoing war on Islamic terrorism. None of the women has the slightest claim to analytical proficiency in these areas. To act as though they do is to fall victim to the classical logical error argumentum ad misericordiam -- an argument that appeals to pity in order to support an unwarranted conclusion. How can legislation that requires the federal government to form a race-based committee with expertise in race determination to create a race-based list of people who will vote on a race-based government not be considered race-based?